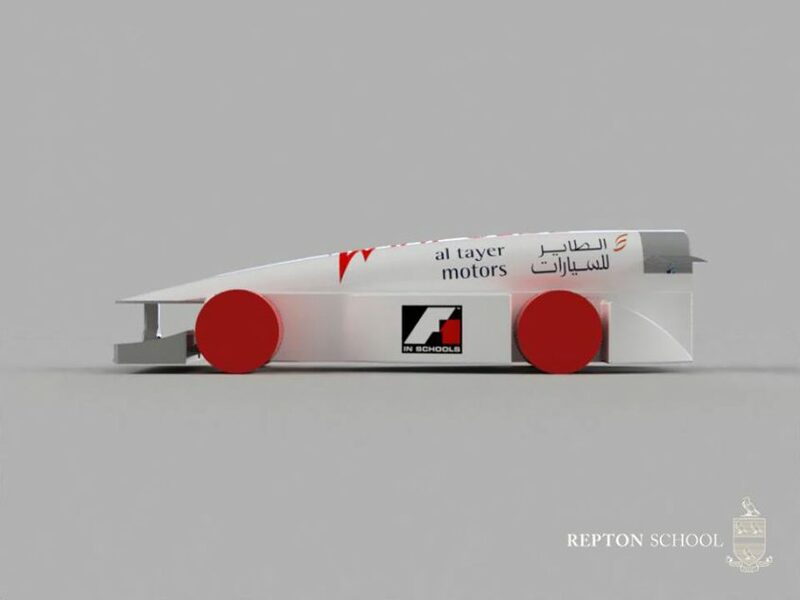 At the recent F1 in Schools Event at Yas Marina in Abu Dhabi our two teams, Project Speed and Top Speed, were placed first and second respectively in the competition that comprised not only of building and racing a car but also presenting their team in terms of the design process and marketing plan to a panel of judges. The work that has gone in to this competition by both pupils and staff is immense and has now been publicly rewarded. All the Repton competitors are in Year 7. Team “Project Speed” will now go forward to the World Finals in November. In addition to the main competition, there was also a competition to pit stop change a wheel on a F1 car in the pit lane at Yas Marina Circuit. Both our teams won this event as well with the fastest change times. Our team of DT staff also won the teachers event!